Those of you playing Pokémon Rumble World might have bought the "Leafy Balloon," a vehicle which transports you to a grass-focused area of the game. 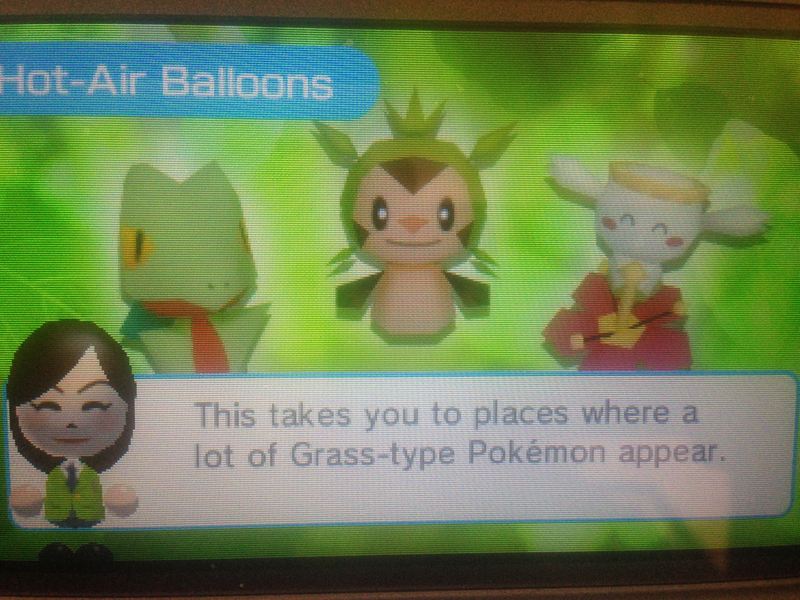 To emphasize the theme of the area, the game shows you three Pokémon...except one of them isn't a grass type. The furthest Pokémon on the right, Flabebe, is a fairy type. It never evolves into a grass type, though I can certainly see why it would be confusing—it's a Pokémon that kind of looks like a flower. That's pretty much grass type, right? All nitpicky joking aside, it does say it's simply a place where a lot of grass-types appear. That leaves room for Pokémon like Flabebe. Cynically, though, I can't help but wonder if someone got confused along the way thanks to the Pokémon's looks. Considering there are over over 700 Pokémon now, it wouldn't be too difficult to get them all jumbled.